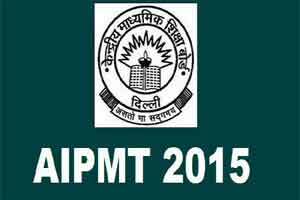 The Central Board of Secondary Education has just announced that fresh examination of AIPMT will be held 25th July,2015. However, the board has clarified that no fresh applications will be accepted for this examination and it will be a retest only in respect of the candidates who had applied within the stipulated time from December 1, 2014 to January 31, 2015 with requisite fee. This rescheduling comes after CBSE had plead to the court asking for more time to conduct the re-examination than the earlier stipulated 4 weeks.